Things that make my heart sing: Once a Squirrel….always a Squirrel…. My op shop Squirrel lamp - he sealed the deal! Have you ever heard of the theory that each person has an animal totem in terms of personality traits? Most of my life I have thought of myself as a cat. I have always had pet cats (whom I have thought of as my babies) and I am a Leo born in the year of the tiger. Increasingly however I have realised that I am also very much a Squirrel! And a crafty one at that! Over the last few weeks in Ballarat I have managed to pay a visit to many of the fantastic op shops that are to be found around town. And what riches there are to be discovered! During these times of searching and gathering treasures I have been hard at work trying to think of a good name for my new shop…lots of names have popped into my head, been road tested on my family and friends and then discarded for one reason or another - until the day I came up with ‘The Crafty Squirrel’. The whole family said ‘Yes!’ and the more I thought about it – the more I knew it was right. 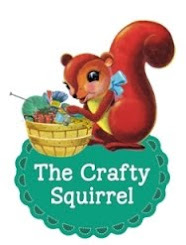 So ‘The Crafty Squirrel’ it is! 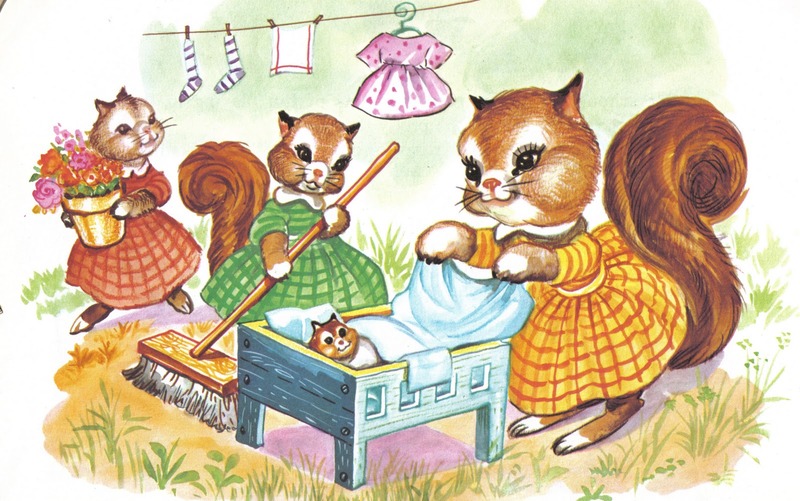 Some lovely girly squirrels from one of the Squirrel books I found. Of course the day I truly settled on the name I went out op shopping and found 3 squirrel related items – 2 books and a little squirrel night light. I knew I was definitely on the right track and ever since I have been finding all sorts of wonderful vintage haberdashery items to sell in the shop! When I researched Squirrel totems on the internet – this is what I came up with…..it was slightly too close to home really….but maybe that is a good thing! The gathering power of the Squirrel is a great gift. (That’s what I think J) It teaches us balance within the circle of gathering and giving out. 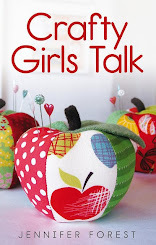 They remind us that in our quest for our goals, it is vital to make time for play and socialising. Squirrels teach us to conserve our energy for times of need. This is just a small collection of my amazing knitting needles for the shop. I couldn't believe my luck when I found this...original box and all! I LOVE the name....from one fellow horder/gleaner/scavenger to another. Can't wait to visit your shop in the near future. Love love love the name! Congratulations. 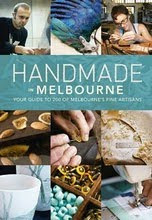 Love it – cant wait ! wonderful name, sounds like you're on a journey of discovery in many ways/ Looking forward to visiting. I may take a leaf out of your squirrel’s book, soon…….